As you get older, there are two major things that you should consider. One is retirement. Having the necessary retirement savings and a financial plan will allow you to live the kind of life you want to live during your golden years. The second thing to account for is what will happen to your estate. Estate planning is not just for rich people, and have a strategy in place to pass on your assets will make the process smoother for you and your loved ones later in your life. So the question isn’t do you need estate planning, but rather, what kind of estate planning should you do? In this guide, we’ll explore the revocable living trust, how it works, and why you might want to consider one as you start to plan your estate. At the most basic level, a revocable living trust, also known simply as a revocable trust, is a written document that determines how your assets will be handled after you die. Assets can include real estate, valuable possessions, bank accounts and investments. As with all living trusts, you create it during your lifetime. (There are also testamentary trusts, which don’t take effect until after you die.) Assets you place in the trust are then transferred to your designated beneficiaries upon your death. What sets a revocable living trust apart is that you can change or cancel the provisions at any time. Hence, the term “revocable” in its name. Before we go into more detail about why you should or shouldn’t get a revocable living trust, there are some terms you should understand. (You may also want to brush up on the basics of how trusts work.) Also, know that the exact laws governing trusts vary by state. The rules in Arizona or Florida won’t be same same as those in Oregon or Michigan. The person who creates a trust is the trustmaker. You will also see the terms trustor and grantor. All three words refer to the same person. Typically, the trustmaker of a revocable living trust is also the trustee. The trustee is the person who handles administration of a trust – such as keeping track of income and tax returns. One thing that you will do in your trust documents is name a successor trustee. This is the person who will manage the trust when you no longer can. The final term to know is beneficiaries. These are the people, organizations or other entities that will receive assets from your trust after your death. If you think that a revocable living trust is right for you, get ready. You will have to do most of the work upfront so that the dissemination of your estate is easier down the road. Start by taking an inventory of your assets. Then, think about who you want to inherit your assets and who you can assign as trustee. Once the document is drawn up, transfer any property you want covered into the trust. For some items, all you’ll need to do is list the asset. For others, you’ll have to contact banks, insurance companies and transfer agents to update beneficiaries, issue new investment certificates, retitle cars, and sign new deeds. You’ll also want to establish a “pour-over” will, which adds unfunded or unallocated assets to your trust. If you are considering trusts, you will also hear about irrevocable living trusts. To decide which is better for you, let’s look at what differentiates those two types of trusts. One major advantage of a revocable living trust is that it is revocable. As mentioned earlier, that means you can alter or even void the trust whenever and however you want. You can remain as the trustee and so you have the ability to make any and all decisions as you see fit. If you decide that you no longer want to give assets to a specific beneficiary, you can remove that beneficiary. This is the opposite of an irrevocable living trust. With an irrevocable living trust, you cannot modify or terminate the trust without approval from everyone named in the trust. So if you want to remove a beneficiary from an irrevocable trust, that beneficiary needs to agree and sign off. The reason for this inflexibility is that as soon as the trustmaker signs the documents for an irrevocable living trust, he or she removes all ownership rights to the assets. Another important difference between revocable and irrevocable trusts comes with taxes. The assets in a revocable trust are still yours and you will pay taxes accordingly. That includes any income taxes, inheritance taxes or estate taxes. In fact, your revocable trust will have the same Social Security number as you. The effect is that any income from assets in the trust will go on your own income return. In irrevocable trusts, the assets are no longer yours. They belong to the trust and all taxes apply to the trust itself. One technical thing to note is that once a trustmaker dies, a revocable trust becomes irrevocable. The trustmaker no longer has the ability to make changes to a trust. Both living trusts and living wills enable you to name beneficiaries and plan the distribution of your assets. They both also allow you to revise the document if your circumstances or desires change. However, a living trust covers three stages of your life: while you’re alive and well, while you’re alive but incapacitated and after your death. The terms of your living will only go into effect after you pass. Plus, living trusts avoid the probate process, reduce the chance of court dispute, and keep your documents private. Wills become public record, where anyone can access them. It’s important to note that creating a living trust does not negate your need for a will. This is particularly true if you didn’t properly add all your assets to your trust or if your trust does not have enough funds to cover the costs of distributing your assets. Wills also allow you to name guardians minor children. A revocable trust only allows you to decide when your children can receive their inheritance and who will administer the trust until the children reach 18. Financial expert Suze Orman once told CNBC that everyone needs a revocable trust. “A living revocable trust serves as far more than just where assets are to go upon your death and it does that in an efficient way,” she said. Here are some of the reasons a revocable trust should be part of your estate plan. 1. Revocable trusts are changeable and flexible. Revocable living trusts allow you to make amendments at your own discretion. That can prove invaluable if your circumstances change or if you just aren’t sure who you want to name as your beneficiaries. That flexibility also makes these trusts a popular option if you are starting your estate planning young. 2. Revocable trusts cover your assets before your death. As outlined above, a living trust covers grantors during three phases of life. If you become incapacitated, your trustee can take over and manage your affairs. (Don’t worry: He or she has a fiduciary duty to act in your best interest.) This happens automatically. You do not need to go through court proceedings or appointed conservators. Revocable living trusts also account for guardianship. You can stipulate living situations and spending habits for minor children in the terms of your trust. 3. Revocable trusts avoid probate. If you have a will when you die, your assets will go through probate. That is a court proceeding where your assets are distributed per your stipulations. Probate is a relatively slow process that that can take up to several months. If you own property in more than one state, your beneficiaries may have to go through multiple probates. 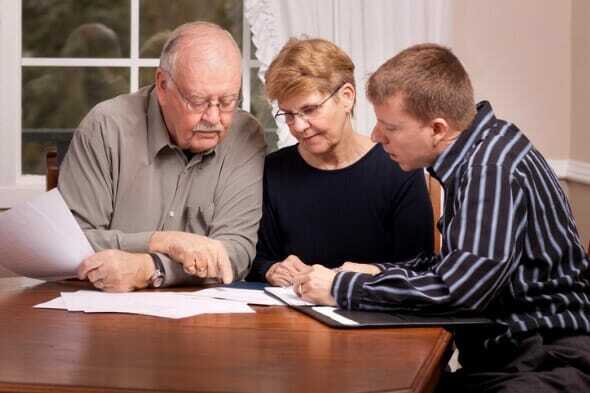 The costs of going through probate can also cut down what your beneficiaries inherit. With revocable living trusts, probate is not necessary. Your successor trustee will be able to pass your assets on to your beneficiaries without the need to wait for a court order. That usually means a quicker and more affordable process for your beneficiaries. 4. Revocable trusts incur less cost and hassle down the line. Drafting a living trust usually requires more funds and effort upfront because it’s a more complex legal document than a regular trust or will. So that means you will need to spend some time and money to properly set up and maintain your trust. However, that work can save you the headache and higher expenses associated with probate. Living trusts also tend to hold up better if someone contests a provision, potentially saving more money and time. 5. Revocable trusts provide privacy. 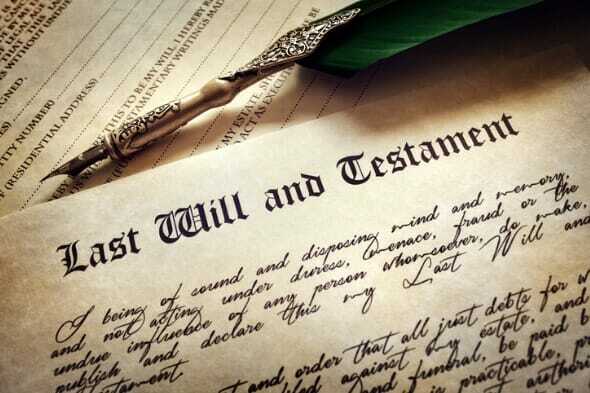 After your death, wills and their requisite transactions enter into public record. Anyone can see what stipulations are in your will, who your beneficiaries are and what each beneficiary is inheriting. Estates in a living trust are distributed in private. No one can search the public records to see where your assets went. This protects the privacy of your assets as well as your beneficiaries. 6. Assets in revocable trusts receive FDIC protection. The FDIC (Federal Deposit Insurance Corporation) typically protects money in a bank account up to $250,000. However, that coverage amount goes up with revocable living trusts. According to the FDIC, the owner of a revocable trust account receives insurance of up to $250,000 per each beneficiary. The maximum insured amount you can have is $1,250,000, equal to $250,000 for the owner and each of four beneficiaries. A revocable living trust is a powerful tool as you begin the process of estate planning. It offers flexibility that you cannot get from some other trusts or wills. This is especially useful for people who are beginning to plan their estate and are not yet sure who exactly to name as beneficiaries. Revocable estates will require considerable work upfront to move all of your assets into the trust, but this usually pays off in the long-run. Without the trust, your beneficiaries will need to go through a long and potentially costly probate process. If you are unsure of the best way to plan your estate, talk to a financial planner or an estate planning attorney. They will help you create the best plan based on your assets, tax burden, and overall financial situation. SmartAsset can help you find a qualified financial planner with our free financial advisor matching service. Simply answer some questions about your financial situation and needs. Then our program will pair you with up to three advisors in your area who suit your needs. Thanks to the internet, we have more information than ever right at out fingertips. This has inspired many DIY estate planners to handle their finances on their own. It’s commendable to handle things yourself, but you will need to put in the time and energy to make sure you avoid common dangers of DIY estate planning. Even if you plan to do most of your estate planning on your own, it can help to talk to a financial planner. A planner will help you assess your entire financial situation and create a plan that you can reasonably achieve. As you choose a financial planner, make sure to consider their certifications, experience and areas of expertise. For some people, creating a will is enough. If you think that is the case, it’s a good idea to look more into the strengths and limitations of wills. There are also multiple types of wills and the one you need will depend on your situation. To get you started, here are some things to know about making a will.